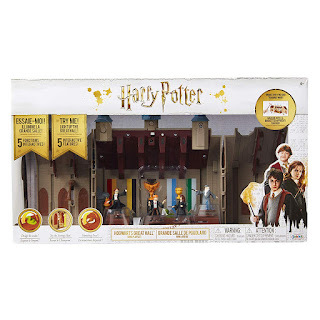 My daughter's eyes lit up when she saw the two Harry Potter Die-Cast Wands Series 3 blind mystery box toys. Like other blind bag toys, this is another one that comes in a series, and is currently offering Series 3 wands to collect. Each wand is packed in a blind mystery box after all, the wand chooses the wizard. Each of the die-cast replica wands are from the Harry Potter and Fantastic Beast series. 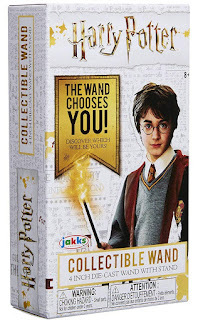 Kids (and adults) can collect all the different wants from their favorite characters, and then display them in the cool wand stand that comes with each die-cast wand. My husband, on the other hand, was quick to grab the box and try and match up the two die-cast replica wands to the characters, as shown on the back of the mystery box. In addition to the Harry Potter Die-Cast Wands Series 3 blind mystery box toys, we were also sent the Harry Potter™ The Quidditch Playset Mini Playset. There is also a Ollivander’s Playset that you can purchase and add to The Quidditch Playset - both shown below. 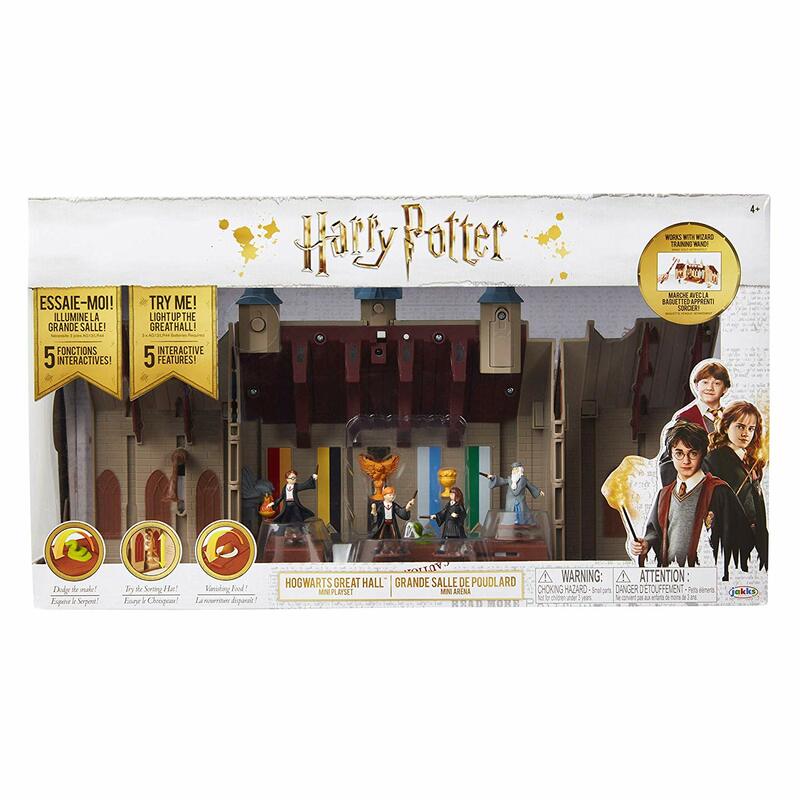 Both of these mini playsets are available at Amazon for only $19.99, and are a must have for fans of Harry Potter. I couldn't tell who was more excited to see this mini playset, my husband or my youngest daughter, as they both jumped off the couch almost in unison and reached out for it, to check it out further. 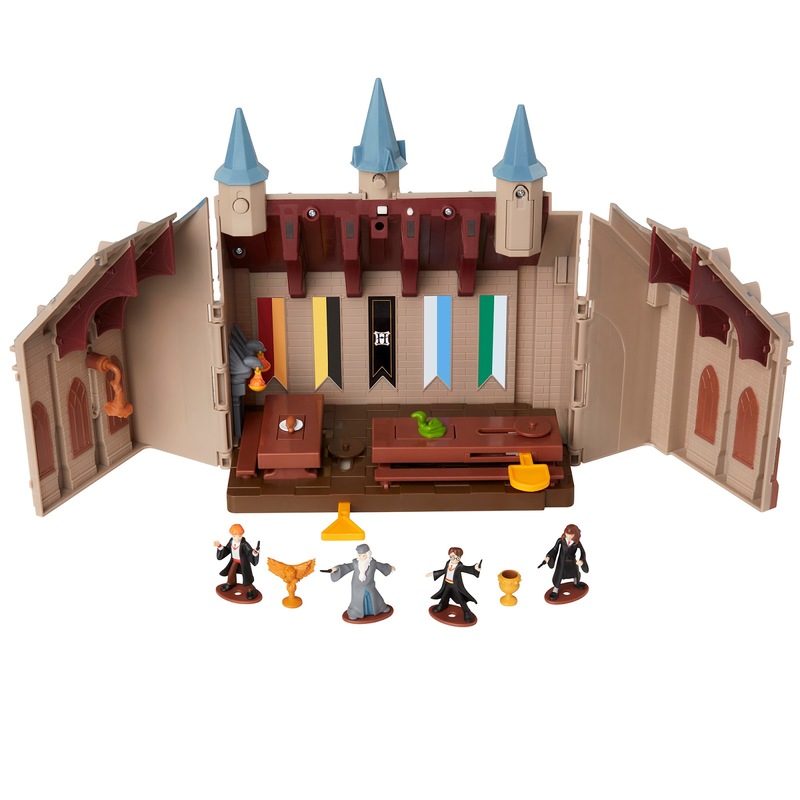 My daughter was first to grab the box and read that this playset featured Harry Potter and Draco Malfoy, and was quick to point them both out. 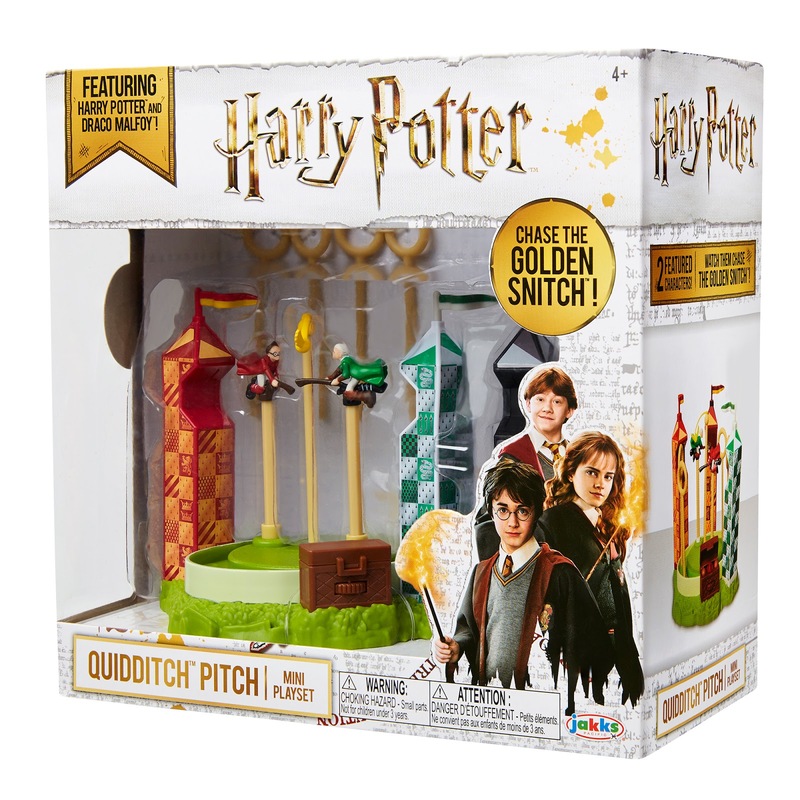 "The Quidditch Pitch Playset includes figures of Harry Potter and Draco Malfoy to chase the Golden Snitch. Open the chest to find the Quaffle and Bludgers." 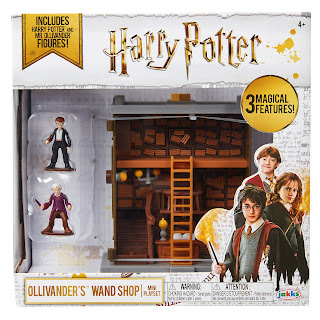 "The Ollivander’s Playset includes figures of Harry Potter and Garrick Ollivander, so kids can recreate the moment when Harry first visits the shop in Diagon Alley. 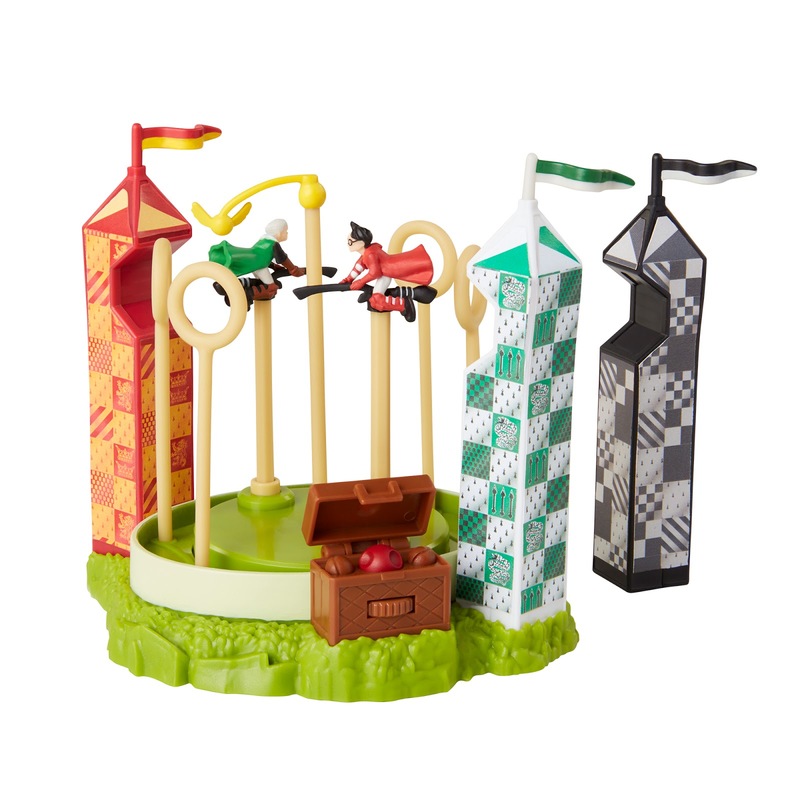 The playset has a lamp to levitate, a sliding ladder, and moving shelves with wand boxes." 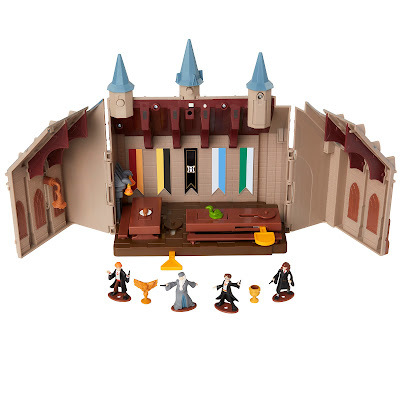 Recreate your favorite stories from the magical world of Harry Potter with the Hogwarts great Hall mini Playset. This mini set includes 1. 5 inch-scale mini figures of Harry Potter, Hermione Granger, Ron Weasley, and Albus Dumbledore. 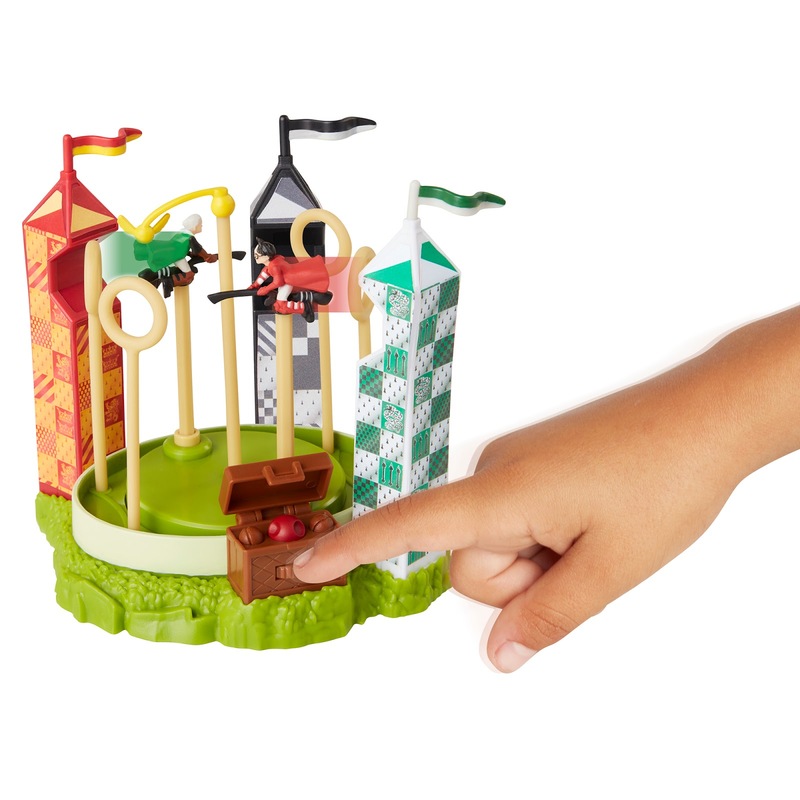 The lights respond - you can press a button to light up the Playset in six unique light patterns, or for added fun use your Wizard training wand (sold separately) to cast spells. You can play the banquet scene and make the food vanish after eating, or make the Snake appear on the table. Your figures can visit the sorting hat as you place it on their heads." Like I said, I was sent the Quidditch Pitch Playset and my husband and daughter couldn't have been happier. They were quick to take the playset out of the box and set it on the table in the living room so that they could look at it up close, and then start playing with it. There is a dial on the front of the chest that you spin and it moves Harry Potter and Draco Malfoy around. I wish I had the camera going when my daughter spun it first the first time, as she let out a shriek and started to jump around in excitement. She thought this was so cool, as she had Harry and Draco chase the Golden Snitch. And, when she was done with this, she opened the box to see the Bludgers and Quaffle.